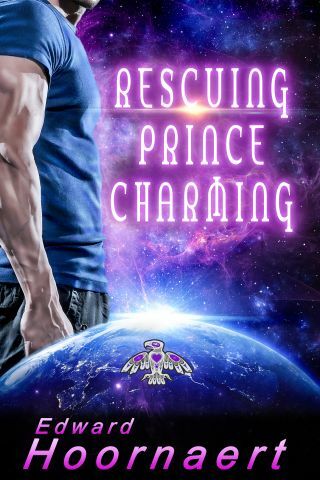 Time for another hook from Rescuing Prince Charming, a near-future science fiction romance. Last week we met the heroine of the piece, Dusty Johnson, as she searched alone for a time bomb hidden in the mechanical deck of an unfinished starship prototype. She is a meek technical writer who believes in the starship project so fiercely she’s willing to risk her life. The previous snippet ended with She spied a cheap plastic lunch kit. Oh, God. The bomb? Blood thumped in her ears. Hoping it wasn’t the last thing she ever did, she opened the lid with shaky hands. Two empty wrappers smelled of fish and chips. No bomb. She jerked her hand away and pressed it to her chest as though to keep her heart from leaping out to freedom. She’d been plenty brave. She could, in good conscience, leave. Right? To reach the second hiding place, she zigzagged to the very back of the mechanical deck and climbed a ladder to the top of Lontreau Engine number one. The alien-designed engine would hop the ship instantaneously across the galaxy—if everything worked perfectly. Its metal casing, as big as a room, hummed and vibrated as though filled with demons impatient to claw her soul to perdition. Ducking her head because of the low ceiling, she headed toward the engine’s far end. Unexpectedly large equipment had turned a passage into a tunnel just big enough to crawl through; the tunnel led to a closet-sized opening walled with massive wire harnesses. That was where she’d plant a bomb, if she were a saboteur. She rounded a bank of gauges and saw the tunnel. But a man—or rather, a man’s legs—filled it like a cork in a champagne bottle. Apparently one brave guard valued duty over death. She’s no heroine. He’s no Prince Charming. Not exactly the pair you’d choose to defend Earth’s first starship, right? Dusty Johnson, a self-styled ordinary, everyday woman, responds with extraordinary heroism when saboteurs try to bomb the prototype of Earth’s first starship. She wants to return to anonymity, but that burst of courage propels her ever deeper into dangers that tear the scabs off her dark past — and thrust her into the arms of the unattainable man of her dreams. Reese Eaglesbrood, an alien prince, yearns to restore his tattered reputation by guiding the starship project to completion, but his fascination with the unassuming heroine threatens to undermine his fragile authority. Shunning Dusty is necessary, yet unthinkable — and when the saboteurs strike again, she may be his only ally against Earth’s most elusive enemies. Oh, darn. You made me go look up the difference between a simile and a metaphor. I can never remember those two. Tension eased and more to follow. Do the legs belong to a dead man or the hero? I love the description of the engine. Well done! As long as I don’t have to describe the inside of it and exactly how it does what it does, I’m fine.